Three weeks ago, I had the pleasure to visit one branch of my extended family and BMW Welt (BMW World), the “multi-functional customer experience and exhibition facility of the BMW AG, located in Munich, Germany.” Supposedly, BMW Welt is the second most popular tourist destination around Munich, after Neuschwanstein Castle which inspired Disneylands’ Sleeping Beauty Castle. If you like architecture or cars, you should visit BMW Welt. 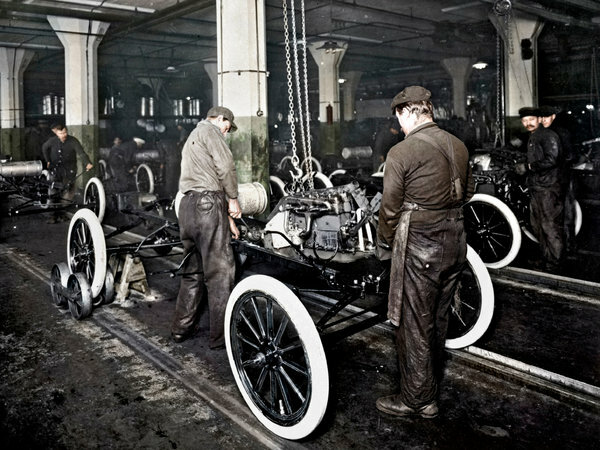 A few weeks ago we had a post on 100th anniversary of Ford’s moving assembly line. Now the New York Times has an article on how the assembly line has evolved at Ford and other automakers (100 Years Down the Line, Oct 29). What stands out is how Ford and others are seeking to manage variety. Fast food is supposed to be, well, fast. But is speed everything? If you think about how different chains advertise, they are often emphasizing price or some expansion of their offerings. Essentially no one ever says that they will get you on your way in two minutes. Speed is taken as a given but there has to be some interplay between the range of what a firm offers and how fast they can serve customers. 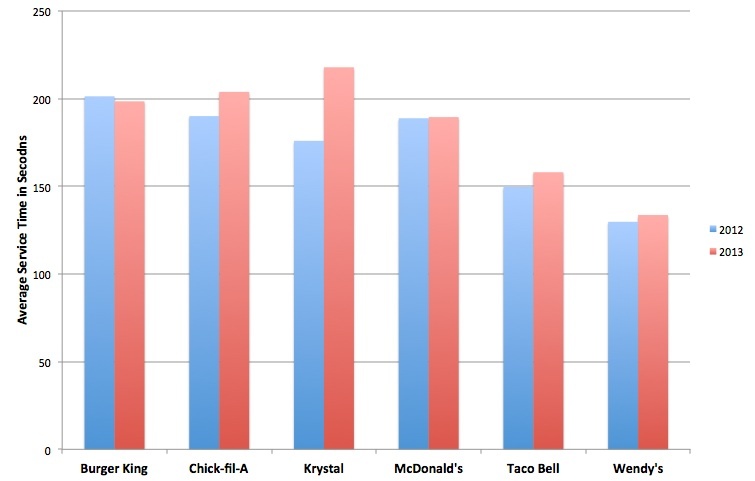 That gets us to QSR Magazine‘s annual survey of drive-thru lane performance (The Drive-Thru Performance Study, Oct 2013). Drive thrus matter since they can account for 60 – 70% of sales and QSR’s survey is something of an industry standard since they have been at it for 15 years. You can find information on their methodology here and a paper co-written by Gady that uses this data here. The most interesting insight from the survey comes from comparing data on service times (i.e., how long does it take from when you get to the order board until you have your bag of food) this year with last year. As the data shows, service times are getting slower as a whole. The industry average went up about 5% from 172 seconds to 180. What’s driving the increase?